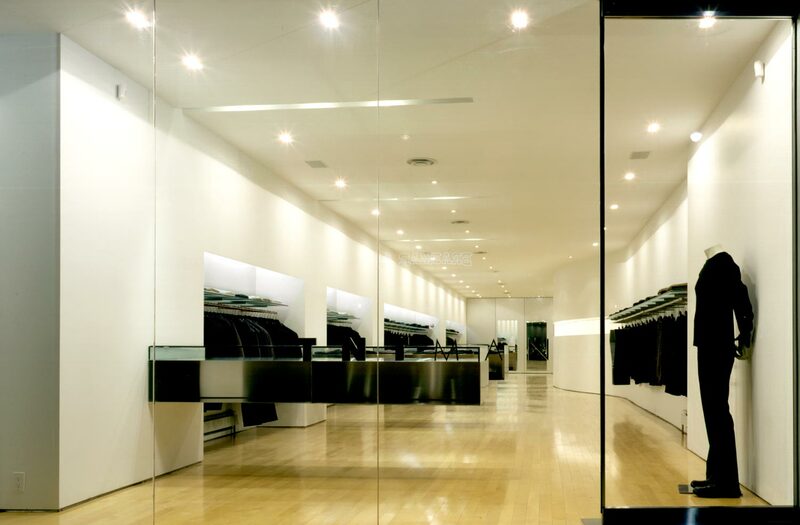 Located in uptown Toronto, this 1460 SF men’s clothing and accessories boutique represents a fifth store bearing the TNT name. 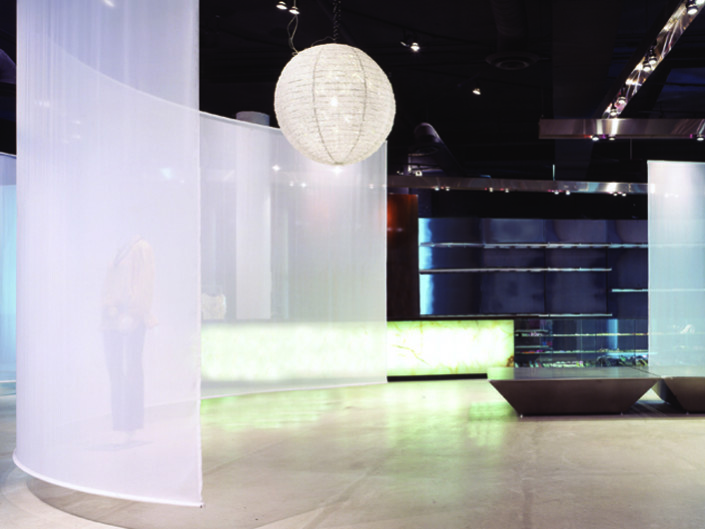 Sharing a modernist aesthetic with its sister stores, this project represents an overt experiment with display elements that appear to hover in mid-air and spatial manipulations that encourage viewing and movement. 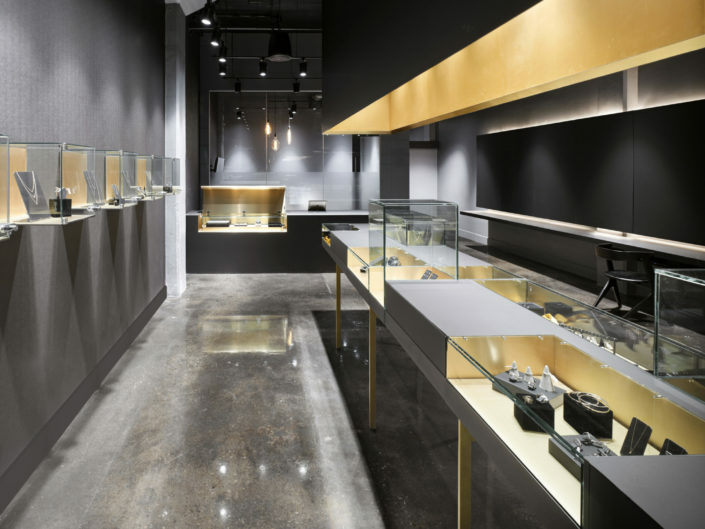 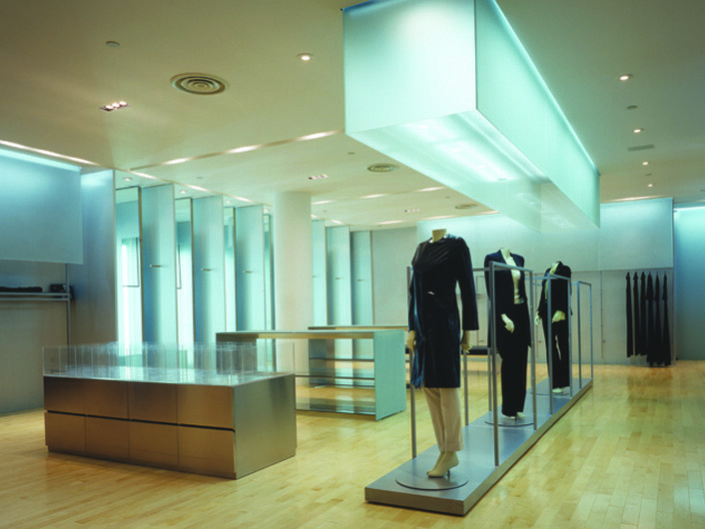 Upon entering the boutique, clients encounter three display tables constructed of glass and stainless steel cantilevered eight feet from the adjacent wall. 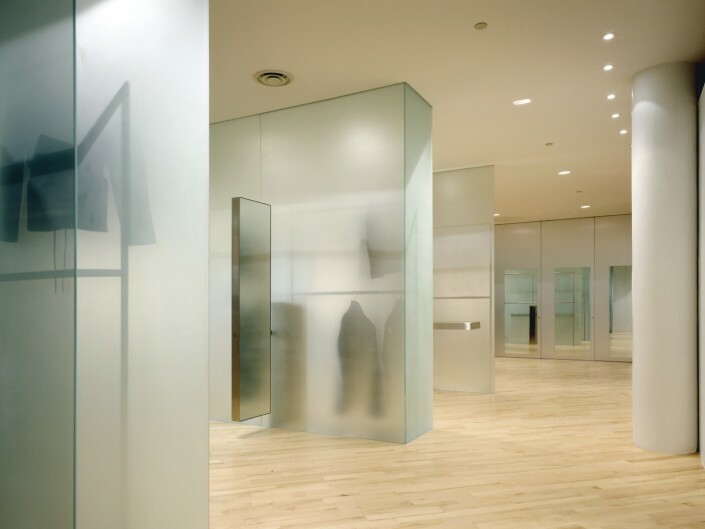 These tables are intended to define an area for new arrivals. 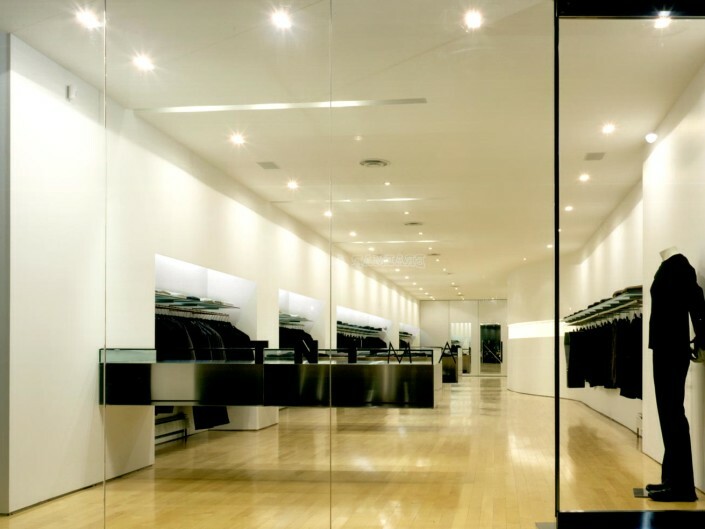 A convex wall with a lighted display recess (which conceals stairs leading to the basement) and a stainless steel-clad cash counter with an integral glass vitrine are located at the mid-point of the store. 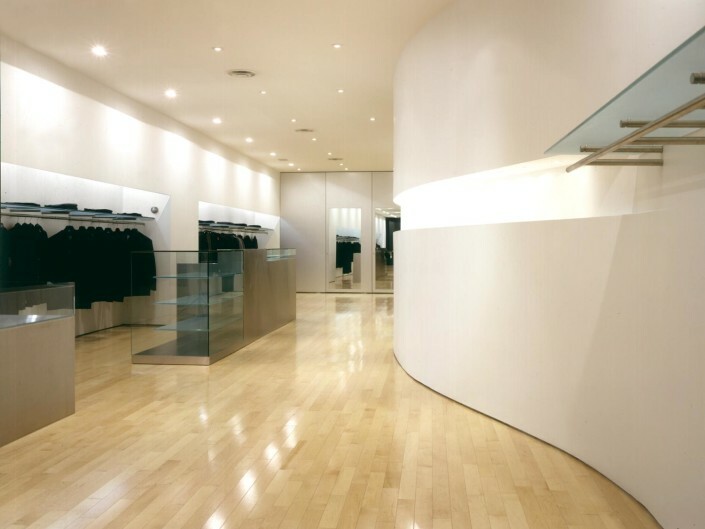 At the curves’ apex, these elements perform in tandem to create a compressive spatial effect that irresistibly draw movement deeper into the boutique. 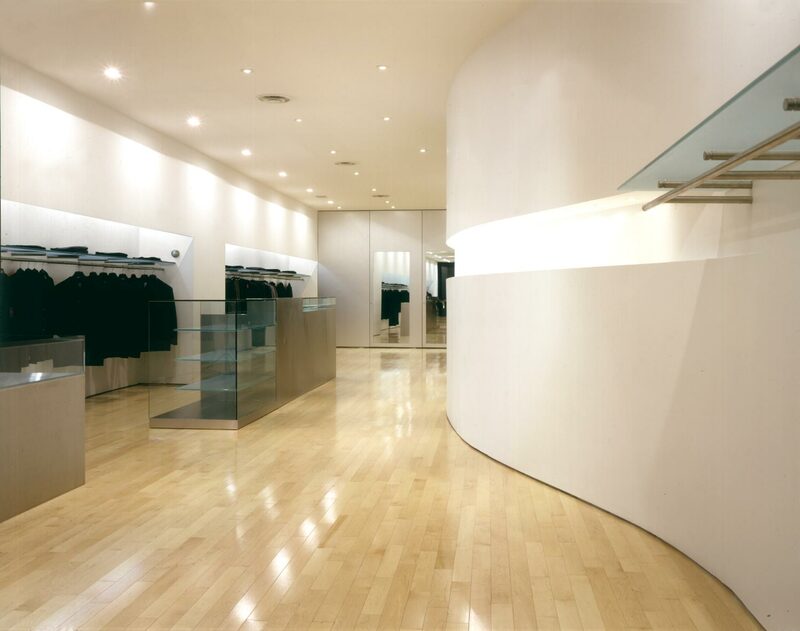 Recesses carved into the convex wall provide opportunities to create varied shelving displays. 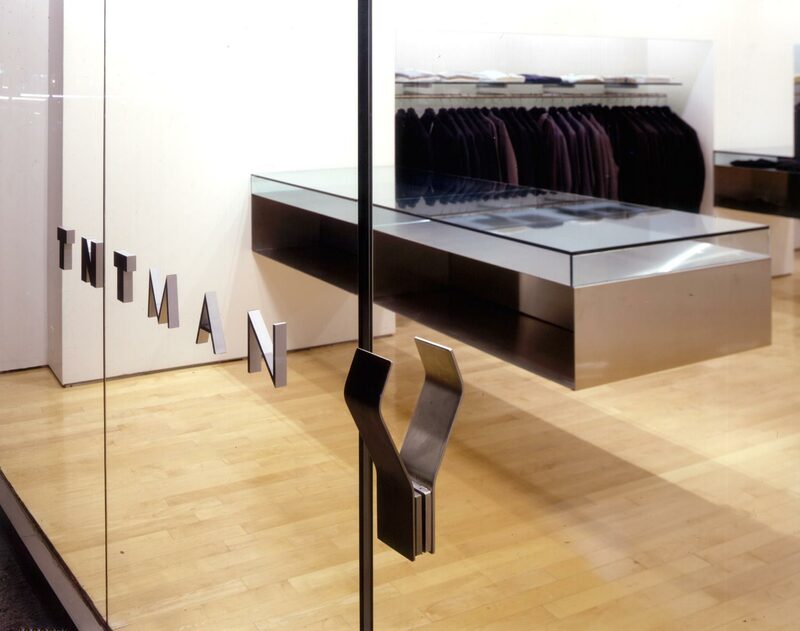 Full-height aluminum fitting room doors visually and spatially function as backdrop to the display elements in the space. Other custom designed features include stainless steel exterior signage, assorted hardware including entrance door push/pull.